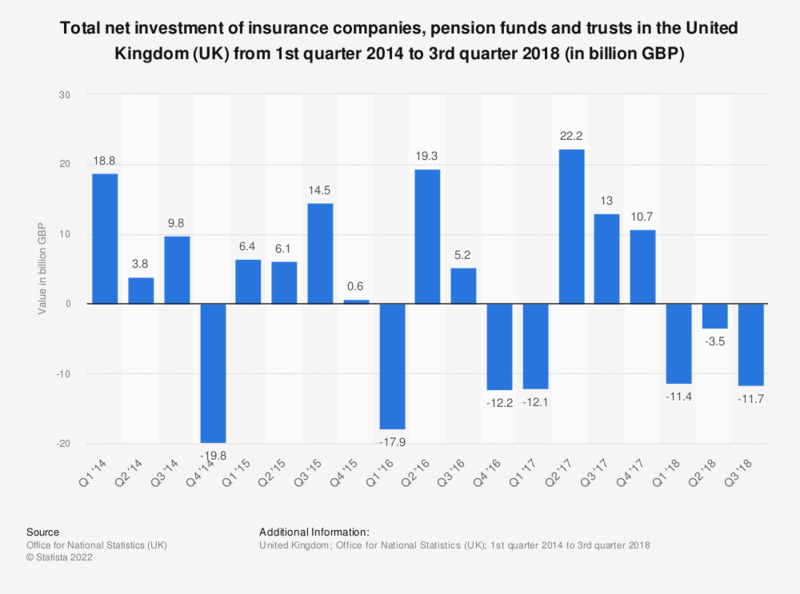 This statistic illustrates the total quarterly net value of investments (investment and divestment) made by insurance companies, pension funds and trusts in the United Kingdom (UK) from the first quarter of 2014 to the third quarter of 2018. It can be seen that the net investments of insurance companies, pension funds and trusts fluctuated overall during the period under observation, reaching a value of negative 11.7 billion British pounds as of the third quarter of 2018. The largest value of investments was found in the second quarter of 2017, when net investments of 22.2 billion British pounds were recorded. Statistics on "Investment funds management in the United Kingdom (UK)"
Does your company have an emerging market strategy?